the other two men tell why they enjoy shooting so much and do it as a sport. They are all talking about the violence, but every other time you hear support for weapons or opposition to them from one or the other side of the room. All along you hear the sounds and shots from the jungle. wooden boards, that are screaned from a photograph of the target that I shot at in Johannesburg. 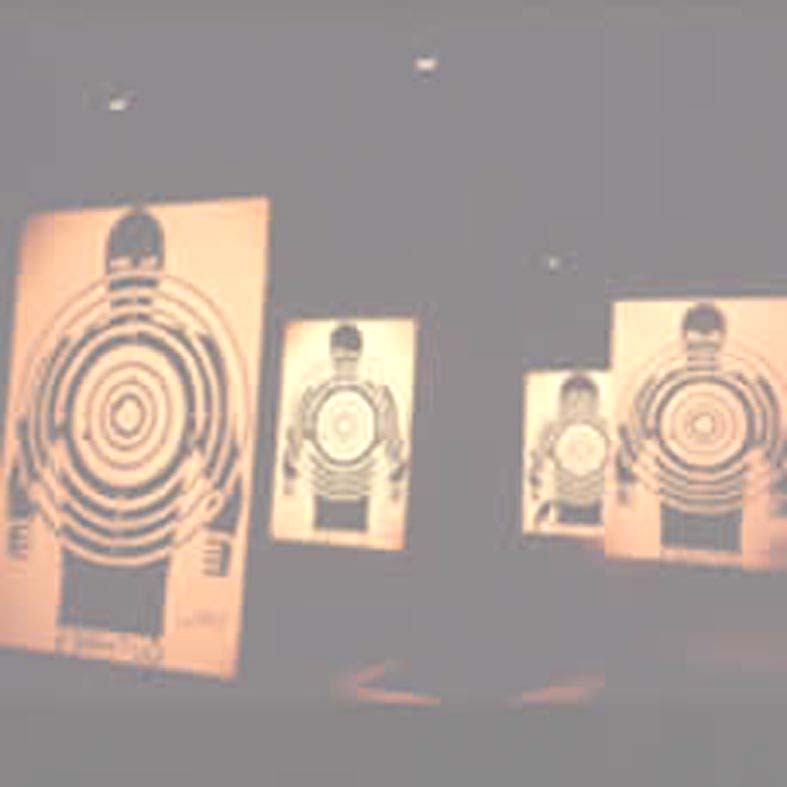 They are hung as in a shooting-range but the three in the back are "humanized"; so that the silhouettes are of a child, of an old man with a cane and of a man witha bandage covering his head and one eye. For a close-up of the paintings, please click here!